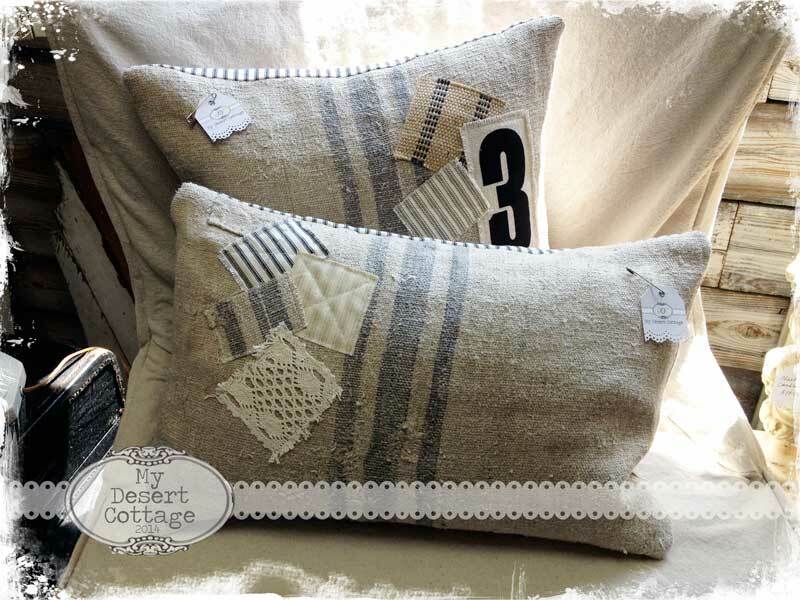 **My Desert Cottage**: My space at Rusty Saturday.. oh, the fun I am having!!! My space at Rusty Saturday.. oh, the fun I am having!!! My booth at Rusty Saturday is all set up and ready to go for this month's big sale weekend!! I have had so much fun getting everything ready and I'm really pleased with the results! The space is a perfect size for me and I am filling it with all the things that I love. This door is one of my favorites. It is old and chippy with just the right amount of turquoise popping through. I have attached chippy brackets and a couple of shelves to make a wonderful display shelf with authentic vintage goodness!! 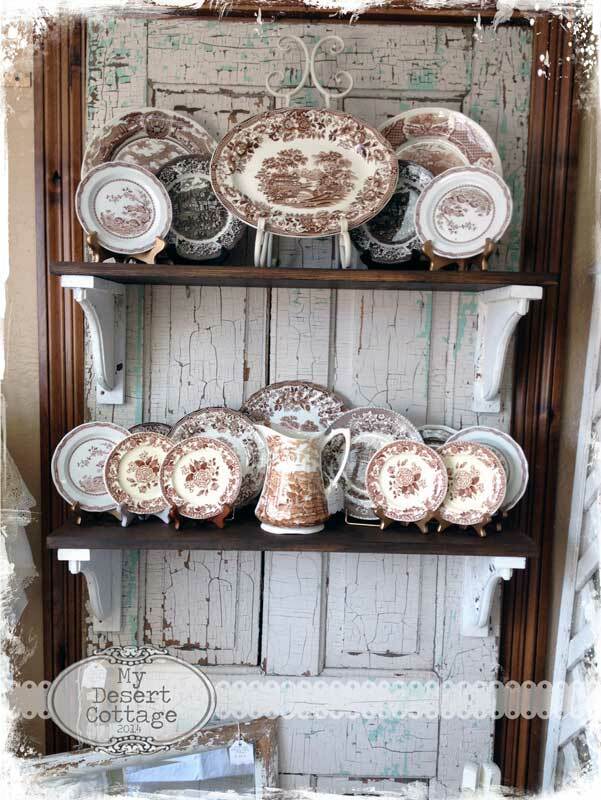 I have one of these in my family room displaying all my ironstone. Here it is filled with brown transferware. YUMMY! This is a cool bookcase/desk. The door pulls down to make it a usable desk. Perfect for a laptop! 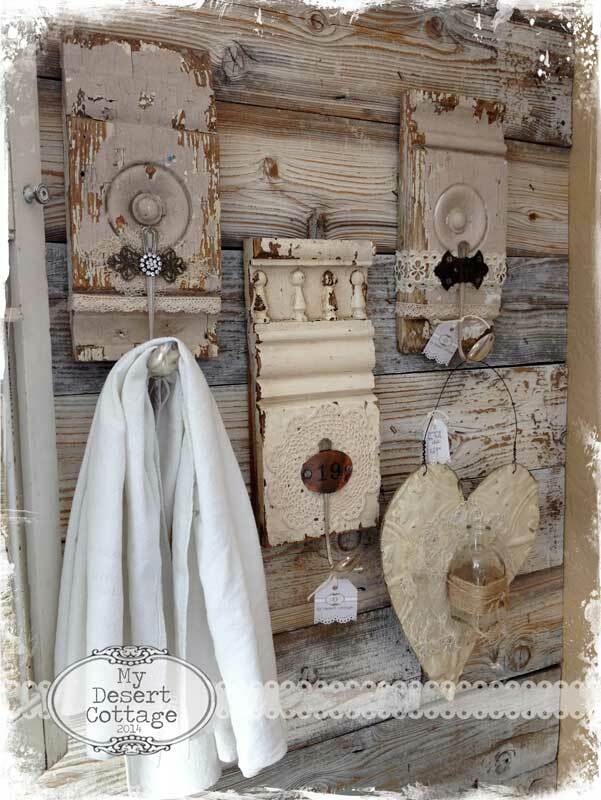 I made these hooks from architectural salvage. 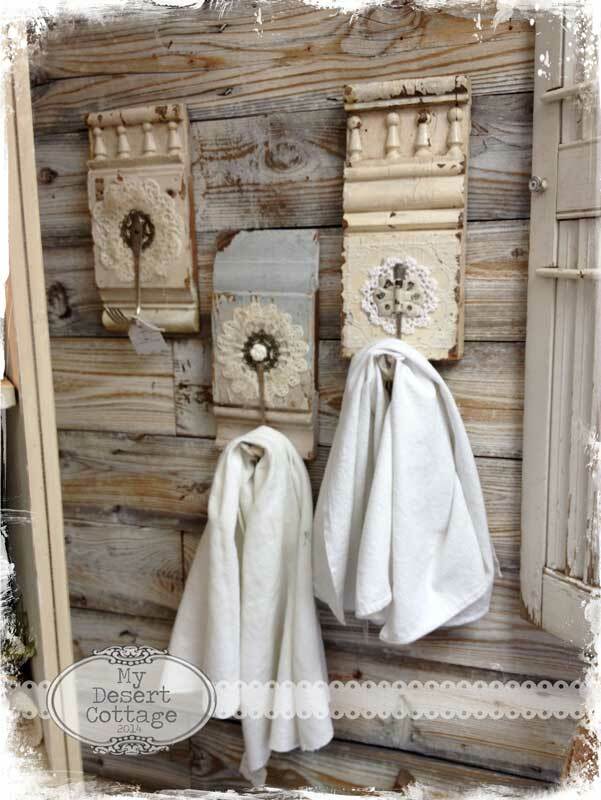 They are perfect for a kitchen or bath. It was very tempting to keep some for myself! I have lots of placemats, runners, doilies, hankies and lace. Again... 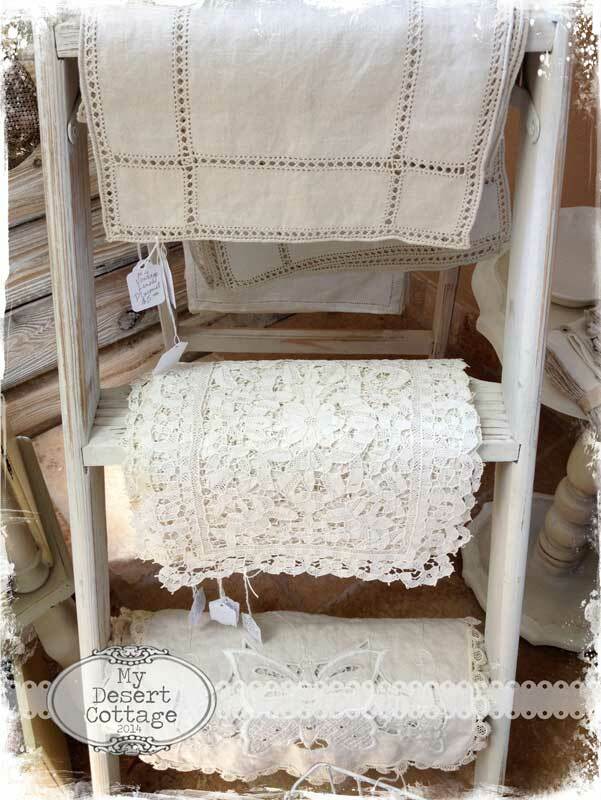 I cant resist those vintage linens! I have lots of handmade goodies. 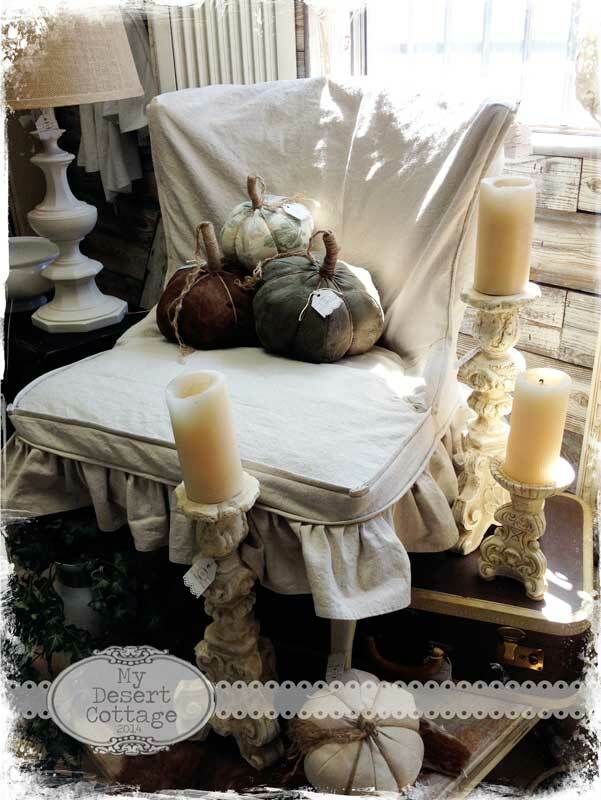 Here are some of my pumpkins just waiting for a new home! 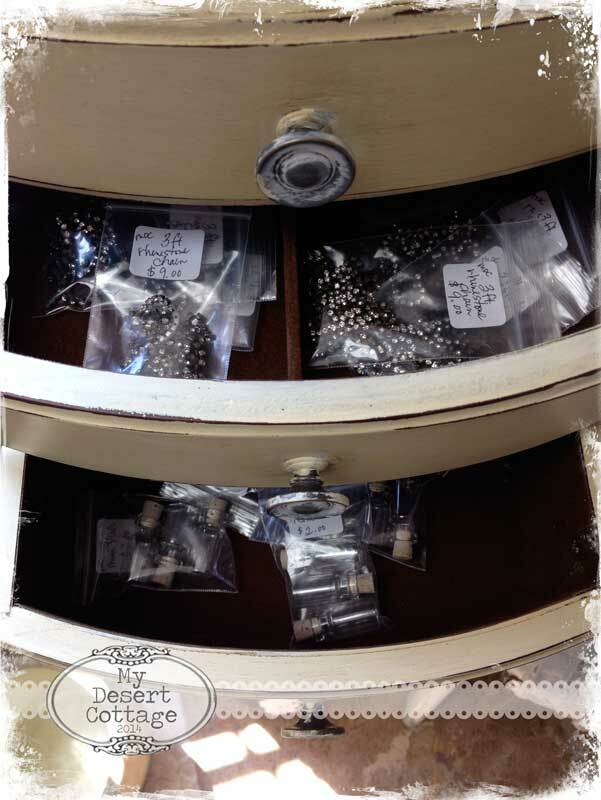 Gorgeous rhinestone chain for embellishing just about anything, little vials with cork stoppers, and lots of lace yardage including some wonderful vintage stuff. I am having so much fun doing this! I hope you will stop in and say hi tomorrow or any day this weekend! 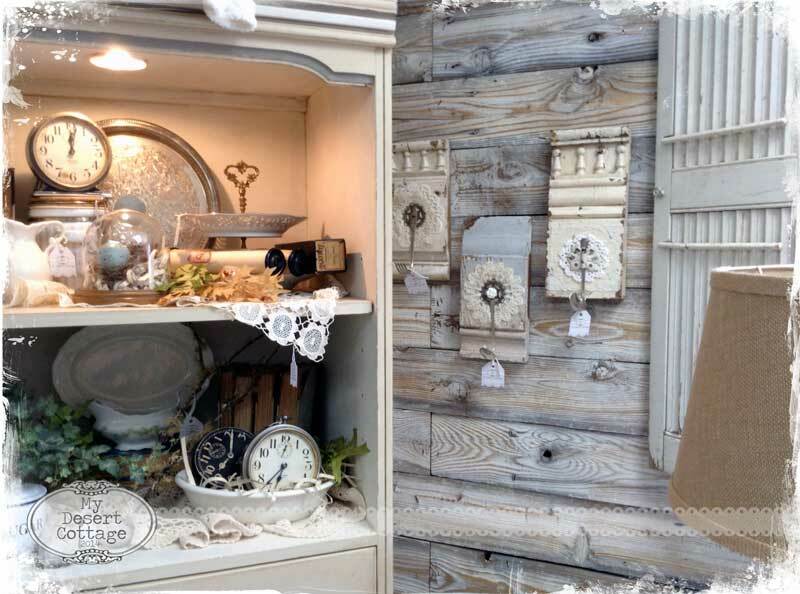 Not only are there some wonderful vendors inside Rusty Saturday, but it is also The Salvage Yard weekend with awesome "picked" finds behind the store! Looks like you're filling the space with all the things *I* love too! Have a fun weekend, sell lots! As soon as I'm able, I think I'll plan a weekend trip out to the desert to visit Rusty Saturday! it looks amazing! You should be so proud of yourself! Every single piece is perfect and I am happy that you are having so much fun. Your space looks AWESOME! You can hear the excitement in your words. Wishing you the best in your new venture! I have to get over there.......!!!! Your booth looks outstanding!!! Love the hooks that you made and that door is awesome! Your space looks great, Karen! Good luck in this new venture! It looks fabulous, Karen! Just gorgeous. I know it will be so successful! 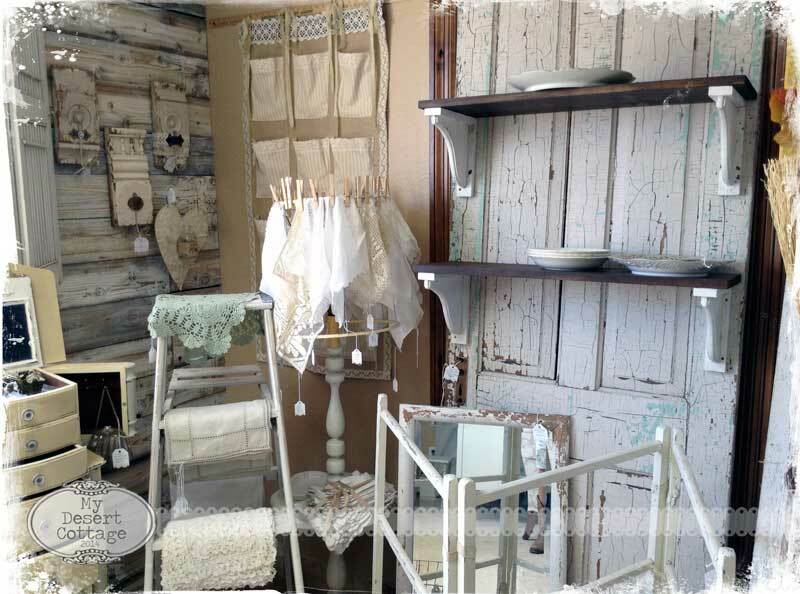 Your creative shop is charming and irresistible! I'm so happy for you, and the weekend sounds wonderful! Wish I lived closer! Oh and to think I was there with you a month ago. How exciting this is. Now I want to go shopping in your booth. 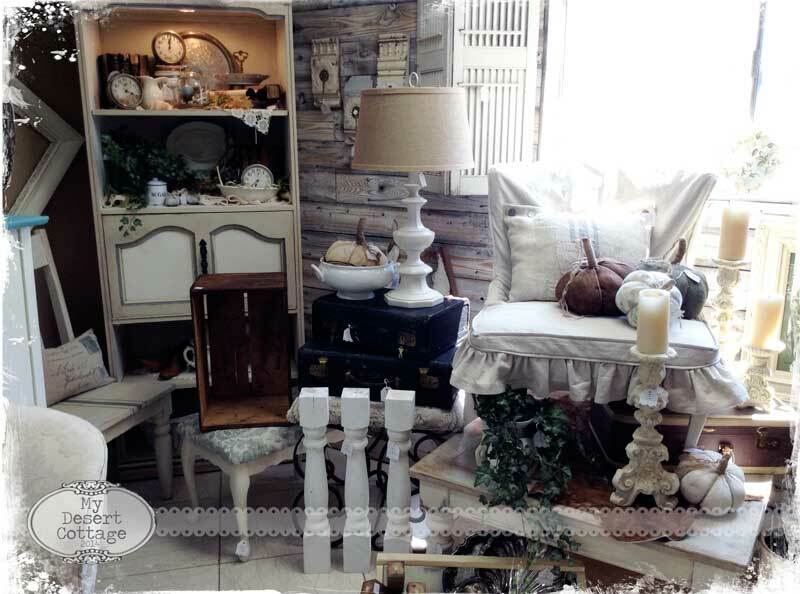 Oh to dream of shopping in your booth! That rhinestone chain really appeals to me! I wish you so much success Karen! PS I have a new fabric book to share on my blog! Ooh, I forgot to say how delicious it all is AND I adore how you packaged up bits and have the blackboard that says art supplies, fabulous! What a great job you did Karen. I'm sure it will be a big hit. I love the things you have put in it. The pumpkins are adorable. I wish I lived closer. 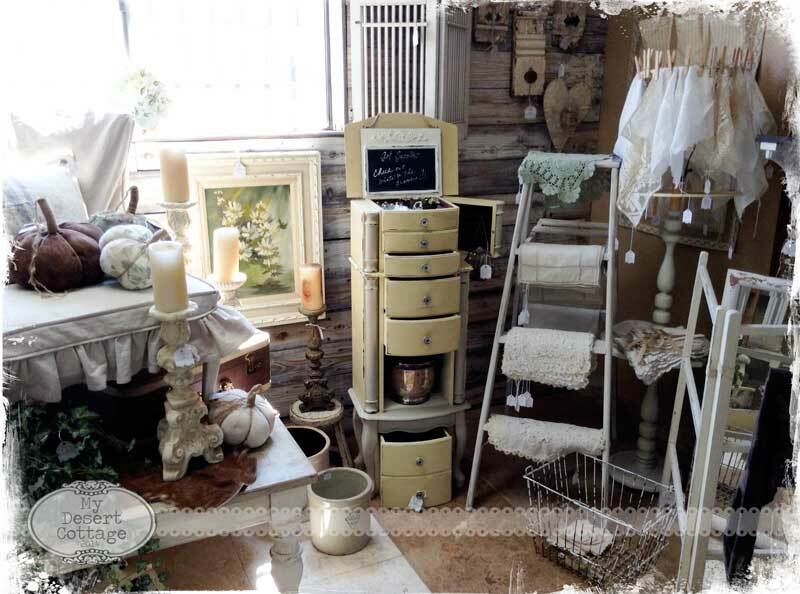 And all those vintage linens are to die for. Best of luck to you. It all looks absolutely wonderful Karen. I wish I lived close enough to come and shop. 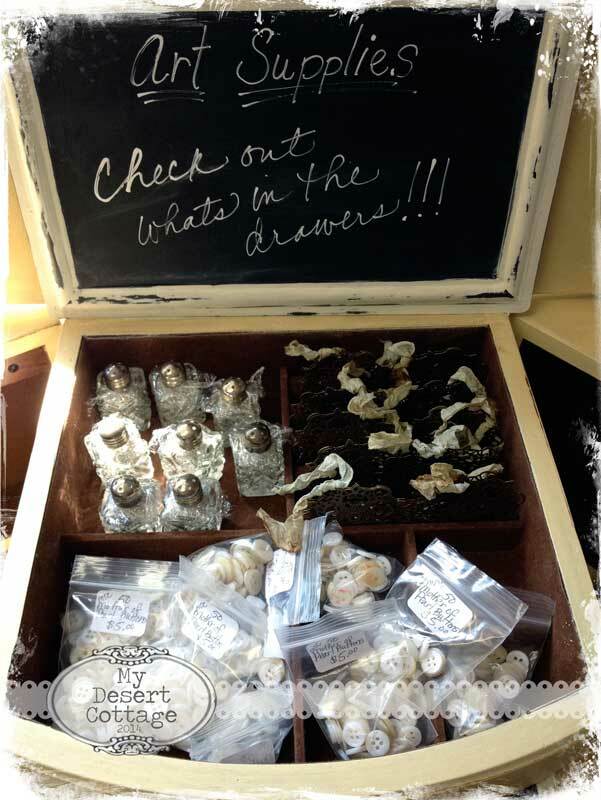 I know I'd be picking up some lace and linens! Best wishes for this weekend. Love it all. You did a great job! Best of luck to you!! Oh Karen. It looks Fabulous! How lovely and I would expect nothing less from you. I'm just sorry that I can drop by and browse through all of your "pretties." Enjoy! good luck in this new venture! I wish you much success Karen! Wonderful & Beautiful. I envy you..but I dont. While I miss my bricks & motar shop, I am enjoying having a etsy shop. I will look for a small space possibly in 2015. I hope to get to see your items in January. Have Fun. oh Karen, this is absolutely fabulous, I am soaking up lots of ideas for my upcoming shows in November. You are amazing and I love what you love! Where exactly is Rusty Saturday located? I get down to the Phoenix area occasionally and would love to bring my sister who lives in Anthem. Well my friend-- it was only a matter of time!! If there was ever anyone who was meant to do this-- it's you! Your displays are gorgeous-- you are going to have so much fun on this new venture. I wish you great success-- it's going to be amazing for you! My new Flea Market bag!